Go to Customers >> 7 - Electronic Payments. Click on . 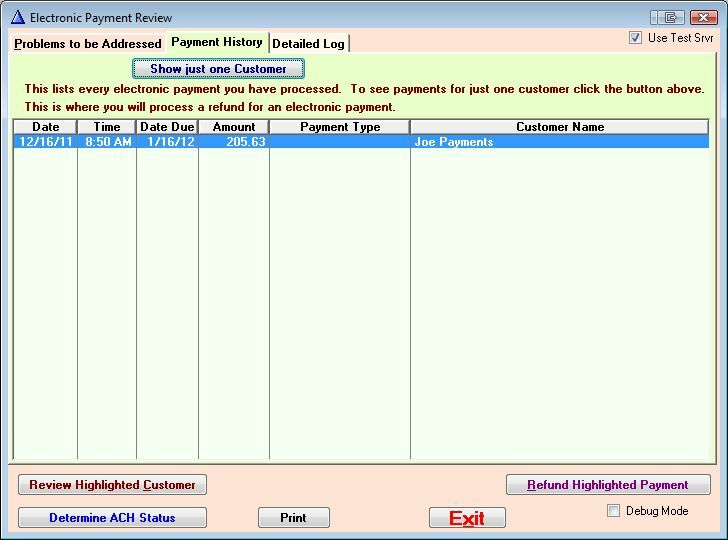 A screen will appear that shows a list of the currently due recurring payments. Selecting will process all payments in the queue for that day. A receipt and an electronic payment log will be generated immediately. 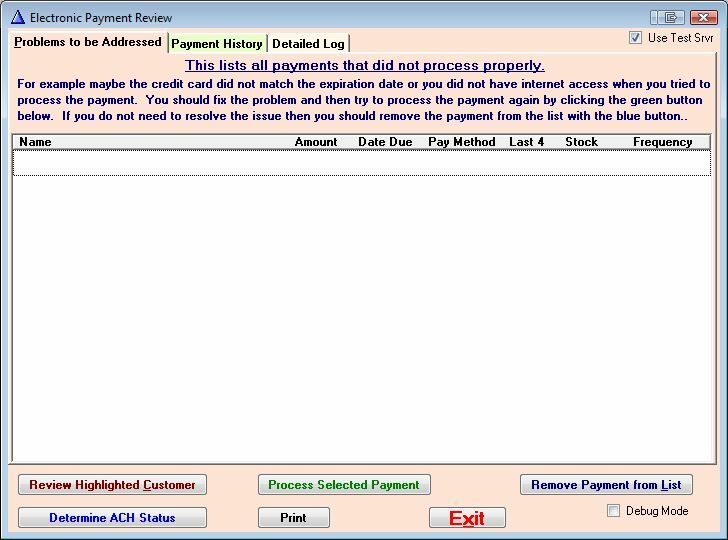 Selecting will remove a selected payment for that processing session only. 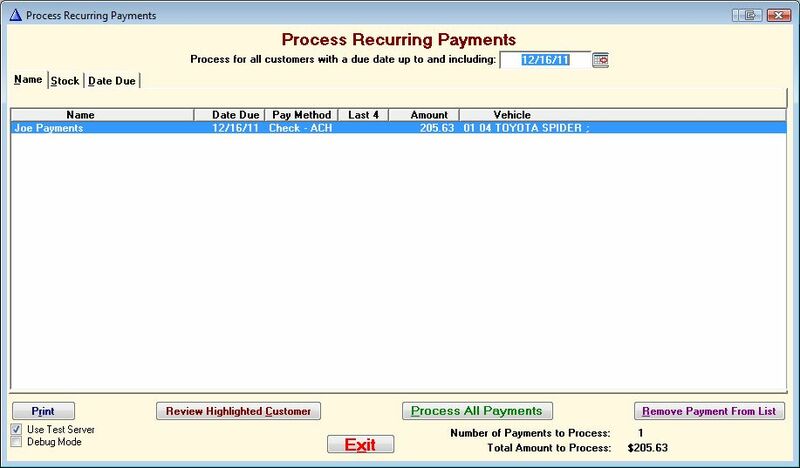 The payment will appear for processing the next time the Process Recurring Payments screen is accessed. Selecting will open the selected customer's Customer Activity screen. To review the electronic payments for a complete history or to address issues with payments that did not go through, go to Customers >> 7 - Electronic Payments and click on . The Payment History tab shows a list of payments that have been processed, with an option to select only one customer's processed payments. Clicking will process a refund for selected payment. Clicking will check on the status of recent ACH payments and whether or not the payments have been received by your Payment Processor. The Detailed Log also shows a history of payments, but in more detail and including payments that were not successfully processed. 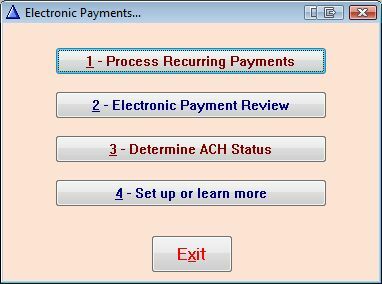 To initiate a check on the status of ACH payments, go to Customers >> 7 - Electronic Payments and click on . 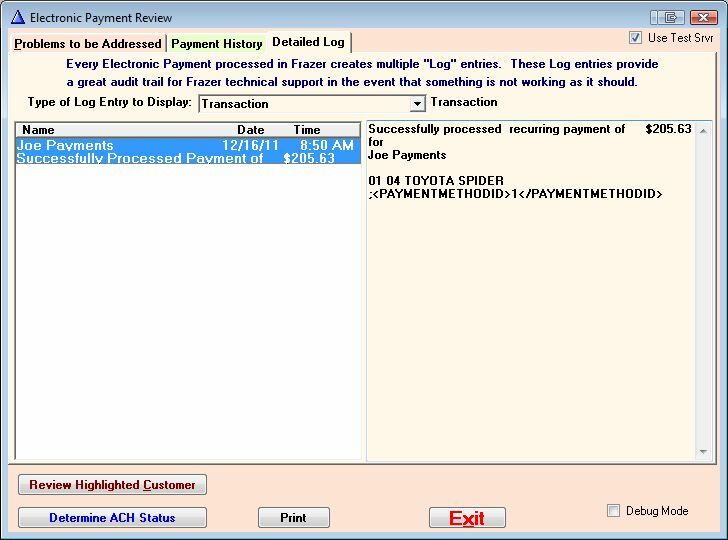 The program will automatically check for status first upon opening the program for the day, however, manually clicking on the button can initiate the process anytime.